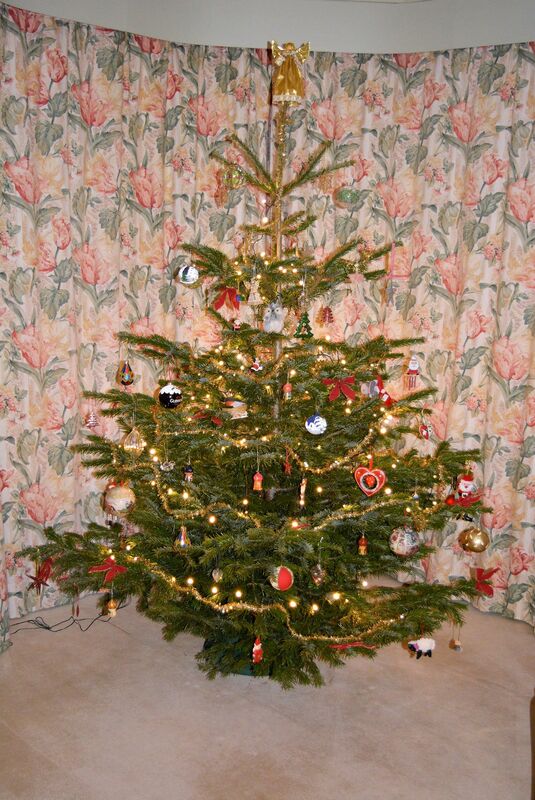 Our next entry has been submitted. Here is the second entry for this year. 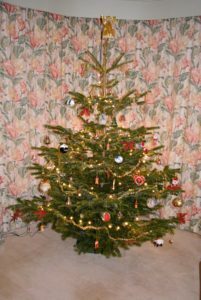 Here’s the first entrant for 2018 – and there’s no chance of any tree decorating TIPS from this popular member! 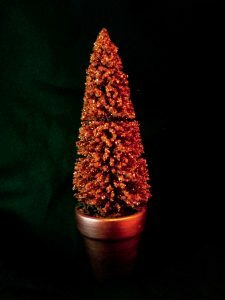 Last ever ICA Glittertree competition! 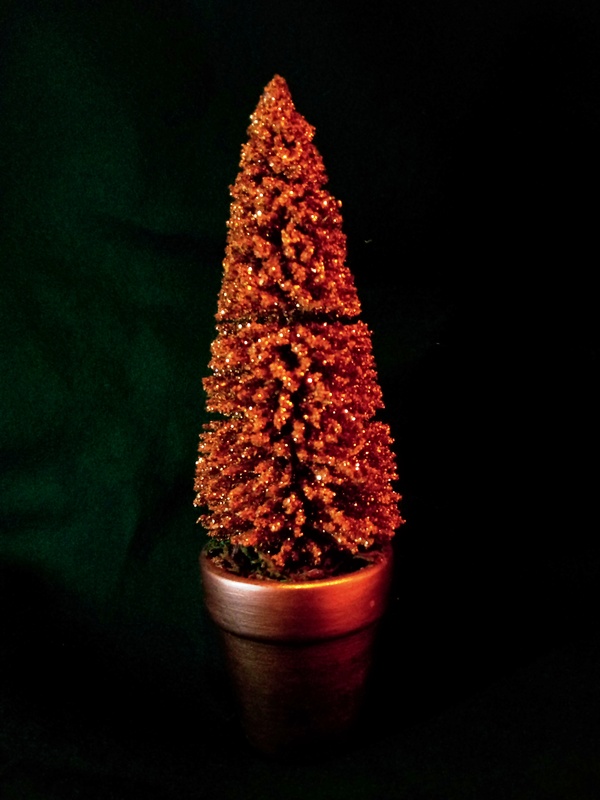 There is only one glittertree left in the ICA store cupboard, as the Christmas tree competition we have all enjoyed over the last five years comes to an end. 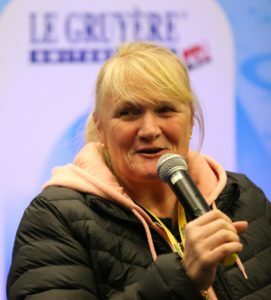 Going out on a high, this year’s judge is one of the most famous curlers that ever wore a kipper, GB’s Olympic golden girl from 2002, Rhona Howie. 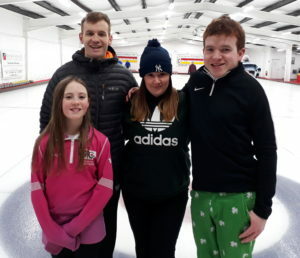 Today’s Irish Mixed Doubles Championships at Dumfries Ice Bowl had to be cancelled due to unforeseen circumstances. 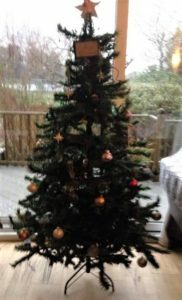 It is hoped the games will go ahead at a future date. 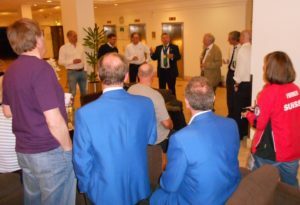 As an association, but more so as a group of close friends, members of the ICA are having difficulty coming to terms with the passing of one of our most illustrious members, Tony Tierney. This is a tribute to Tony, seen through the prism of Irish curling. 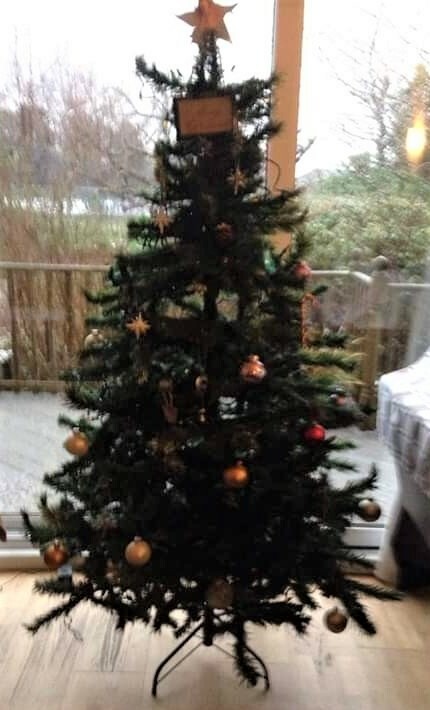 Tony and his two-year battle with cancer went down to the last stone in an extra end. We all knew it was peels at the start of the year and although Tony fought all the way, throwing guard after guard in the path of his disease, his opposition had the crucial last stone. We all prayed for a reprieve for him, that cancer would come up short, but it drew the shot and Tony shook hands and left the ice with his head held high, having given his all. 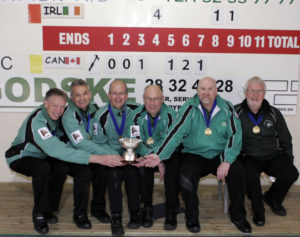 Tony was one of the original members of the Irish Curling Association, a regular supporter of its competitions and a committee member for many years. Tony also had the honour of playing for his country 104 times. 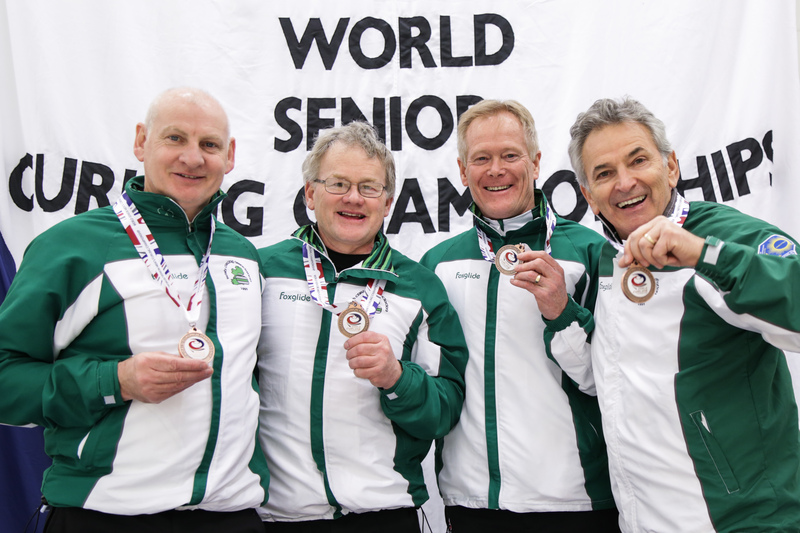 During his Irish curling career, he achieved the one thing that every competitive sportsperson dreams about – he became a world champion. Tony played lead in the Irish team that won the World Men’s Senior Championships in Tårnby, Denmark, in April 2012, in one of the most unforgettable weeks of his life. 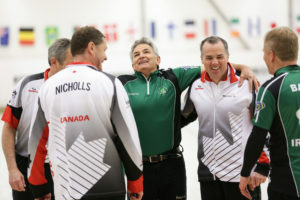 He and his teammates – Johnjo Kenny, Bill Gray, David Whyte, David Hume and coach Gordon McIntyre – went through the entire championships undefeated and beat hot favourites Canada in an extra-end to take the gold. 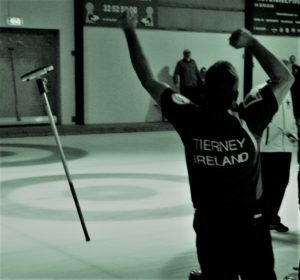 His sterling performance for Ireland in Tårnby led to the nickname ‘Tony Two Ticks’ but he was even more proud of his teammates, after that monumental success, than he ever was of himself. 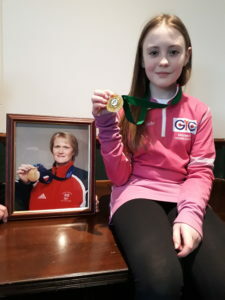 He followed that up four years later in Karlstad, Sweden, winning a bronze medal at the same championships, playing for Ireland with Peter Wilson, Peter JD Wilson, Ross Barr, Neil Fyfe and, once more, coach Gordon McIntyre, one of Tony’s closest friends. 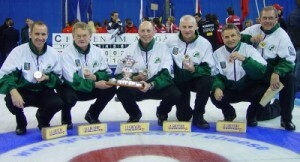 European ‘B’ Gold medallists 2007 – left to right – Neil Fyfe, PJ Wilson, Robin Gray, Peter Wilson, Tony Tierney and coach Ron Myers. 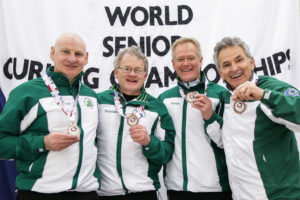 He was also in the team that won Ireland’s very first gold medal at any championships, winning the European Curling Championships ‘B’ League in Füssen, Germany, in 2007 with Peter Wilson, Robin Gray, Neil Fyfe, PJ Wilson and coach Ron Meyers. 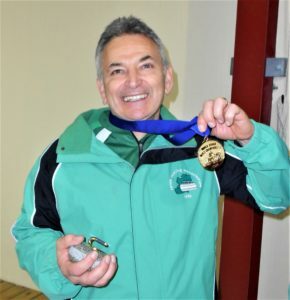 From 2005 to 2016, he represented Ireland in eight World Senior Championships, two European Championships, six European Mixed Championships and one World Mixed Championships. On the ice Tony was committed, competitive and played hard to win. He was also famous for taking into consideration every possible outcome before making a tactical decision and was locked into a wonderfully idiosyncratic pre-shot routine that he was mercilessly ribbed about. Off the ice, ‘Tony Terrific’ was nothing short of a legend. Blessed with exquisite comic timing, he was a regular when curling social events called for an entertainer. 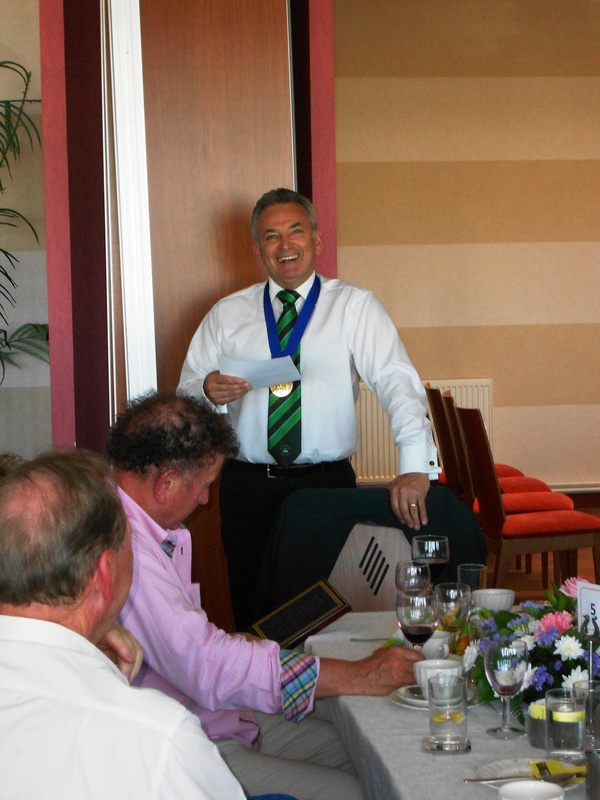 His stand-up routine was unforgettable, with his audience bent double with laughter as Tony reached the punchline. Aided by his “it’s the way I tell ‘em” Belfast accent; such was his talent and command of the floor he managed to make often told tales sound just as fresh and funny as the first telling. We all will have our favourite Tony Tierney joke, but I doubt we will ever want to hear them again as only Tony could tell them…… and sadly, he is suddenly gone and with him, the magic of a storyteller with the room in the palm of his hand. 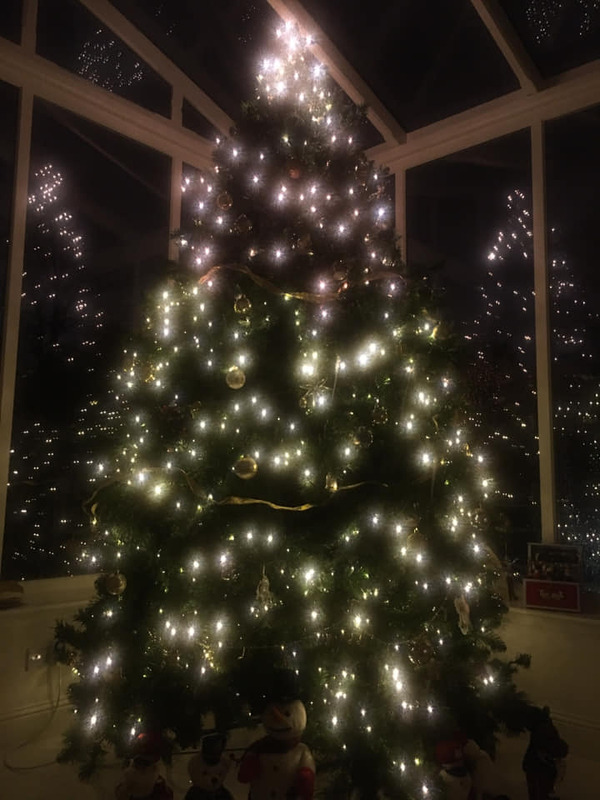 Of course, our sadness pales in comparison with what his devoted wife Charlotte and his family are going through and our deepest sympathies go out to them at this most difficult of times. 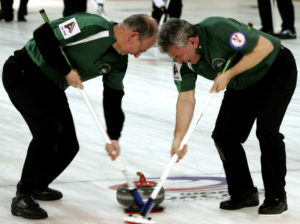 Tony had many things to be proud of away from curling. He was a successful and respected businessman with a wide circle of friends. He was a man of integrity, honesty and faith. 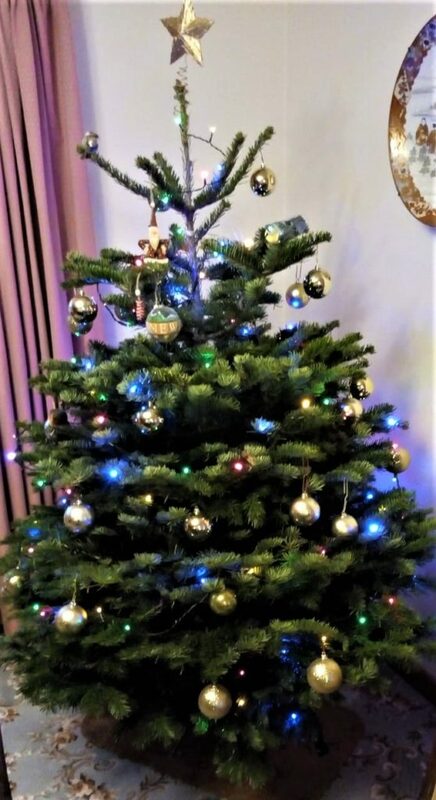 He was warm, witty, charming, easy-going and generous to a fault, but most of all he was happy and fulfilled in his personal life. He adored Charlotte who was clearly the love of his life, as he was hers. It was with that immense love as his talisman that he fought leukaemia so long and so bravely. In his lifetime, Tony Tierney conquered the world, but his world was Charlotte and their life together and he would want our gaze now to turn to her and to give her all the strength and support we can. That, surely, would be the finest of tributes to Tony. 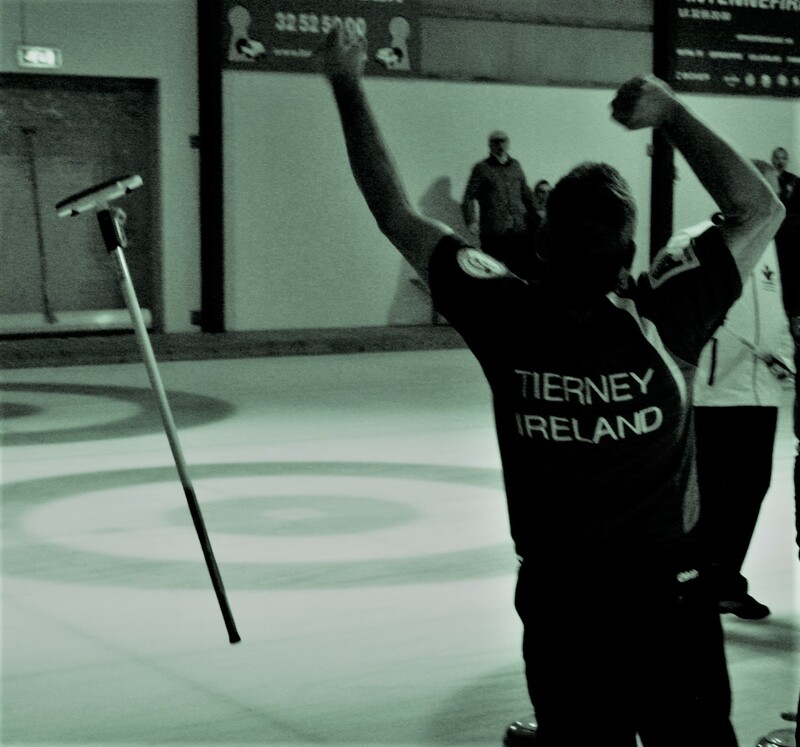 Tony Tierney – world curling champion. April 21st, 2012. 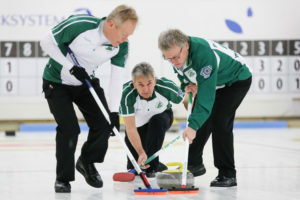 The World Curling Federation have just announced that the World Mixed Curling Championships will take place in Kelowna in British Columbia, Canada, from October 13 to 20. 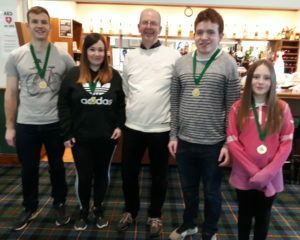 The International Mixed Doubles has started today in Dumfries, Scotland. The Irish Mixed Doubles Champions (Eoin McCrossan & Jen Ward) are competing with 23 other teams for a $4,900 purse. Up to date scores etc. 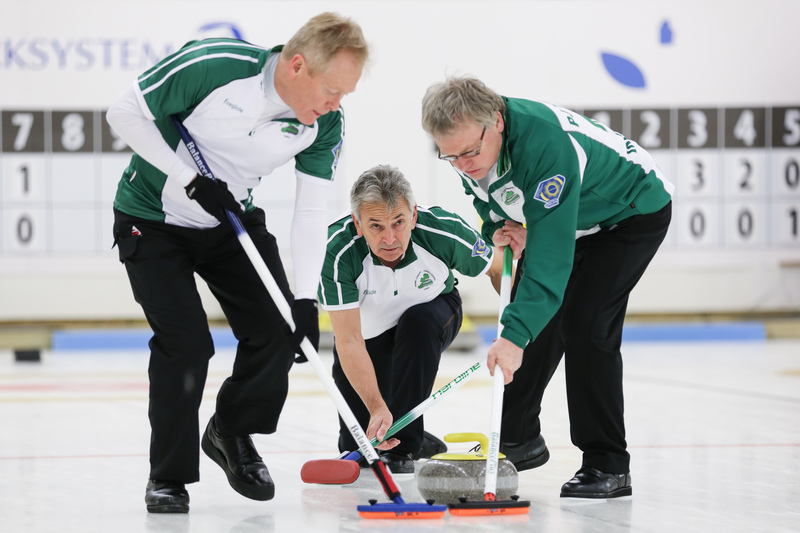 are on the World Curling Website. 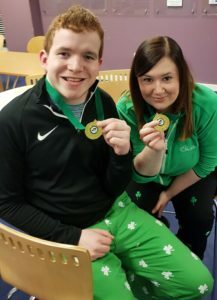 It is an ideal event for Eoin & Jen to compete in prior to the World Mixed Doubles in Sweden next month. An exciting playdowns for the Irish Mixed title at Greenacres Ice Rink on Saturday 10th March 2018. 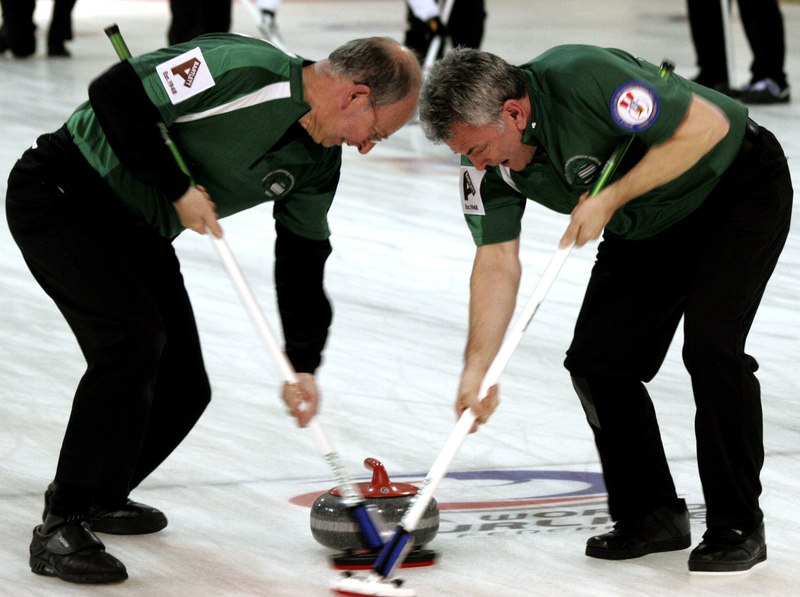 The first game swung on a 7th end take-out which was missed twice by the opposing skip, James Russell. Skip John Wilson made impressive draw shots against large heads on several ends. 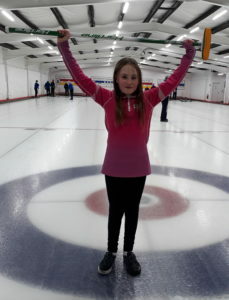 In the second game, the most notable shots were Erin freezing several on button and Eoin lifting two consecutive double takeouts. 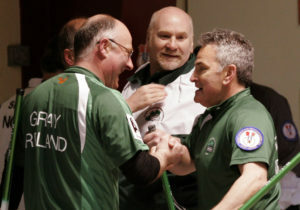 The first 2 games were won by team Wilson in a best of 3 format, so thay can represent Ireland at the World Mixed Championships later in the year – date & venue still to be decided. 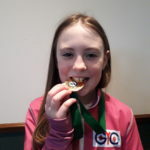 This was a debut playdowns for 12 year old Erin Furey (daughter of Irish Mens Team player, John Furey) who curled beautifully and clearly enjoyed herself. Clearly Erin has aspirations ….